My hubby took me out for ice cream last night to celebrate Valentines Day after we finished the evening milking. That man knows how to make me happy! Ice cream is one of my greatest weaknesses…..I usually eat it at least once a DAY. Yes, I just admitted to that. No wonder I ended up on a dairy farm! After ice cream, we stopped at the grocery store where Matt bought me some red, chewy candy (in this case Jelly Hearts) which is another one of my great weaknesses. Ha ha. Don’t you just love a husband who GETS you??? 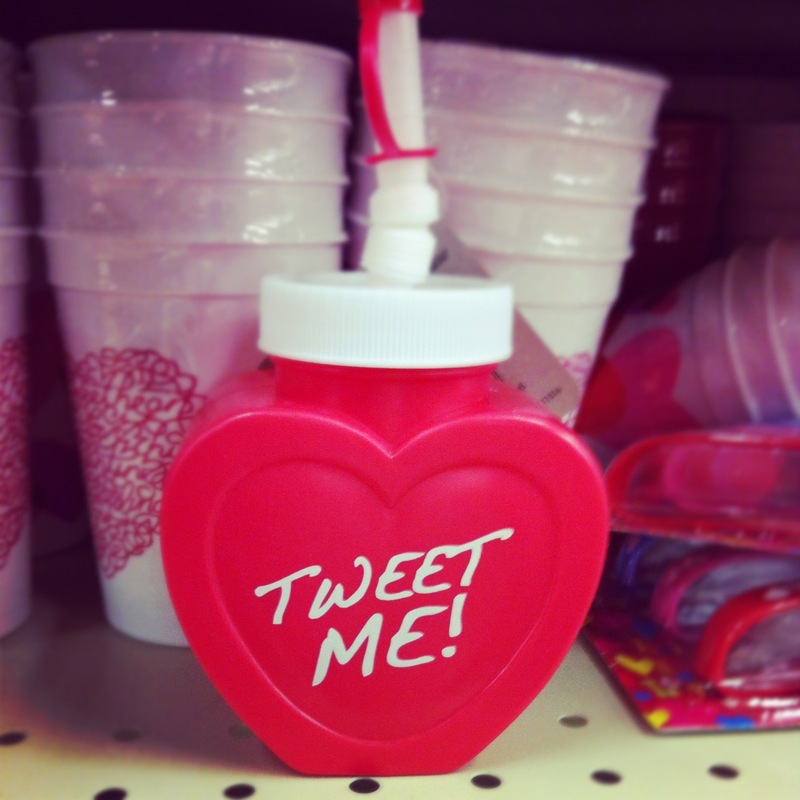 In our hunt through the seasonal aisle at the grocery we came upon this red heart cup that said “tweet me” on it. Cracked me up! I personally have not succumbed to the Twitter craze but I do have accounts set up for our dairy farm and for our pumpkin patch, Country Pumpkins. It’s pretty fun, but I’m far from an expert at it. I’m much more active on Facebook, so I just set my FB updates to go straight to my Twitter accounts. It’s nice and easy, plus saves time! Want to follow us on Twitter? Just click on the links below!